It is all finished and in the wash. 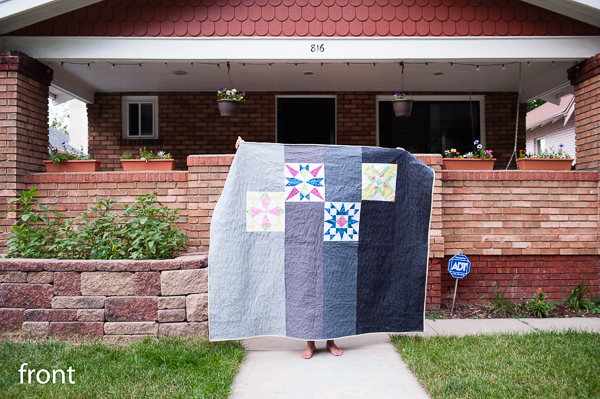 While I had a lot of fun piecing the star blocks, I honestly did not enjoy the rest of it. I think I’m going to take a break from quilting for awhile. I’m sure my mom’s going to like it, and I know it’ll be a surprise for her when she gets it. 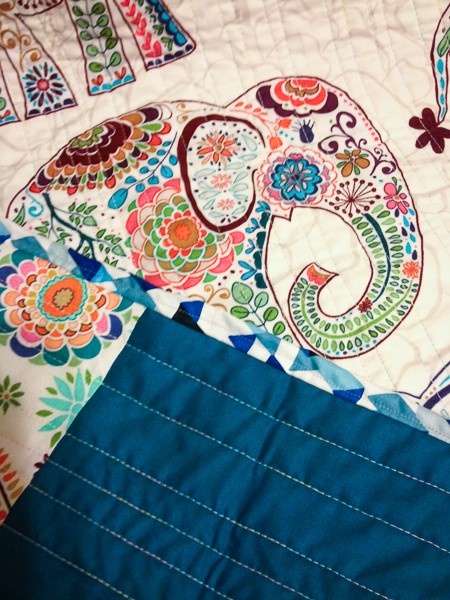 Except I think that she was thinking she was going to get an elephant quilt. And I’m basing that on the facebook feedback on one of my sister’s photos. I still think she’ll like it. Its a large, lap quilt. Just the right size for my Mom to to take a nap under while on the couch. 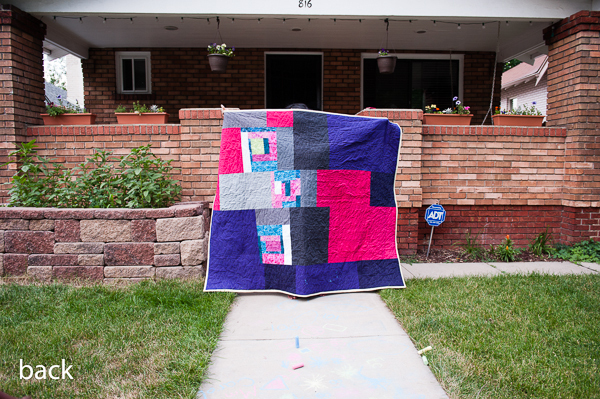 And here’s a fun outtake from the front yard photo shoot – in an animated gif! It’s beautiful, Norine! I know she will love it! !